Burn The Internet: It's Pat! 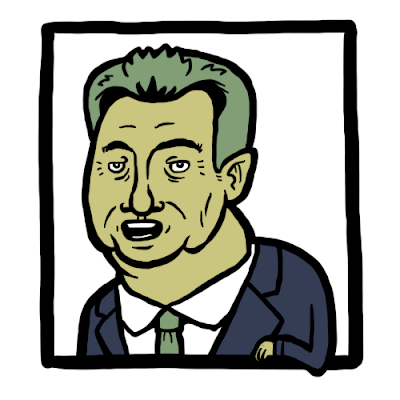 I was watching Wheel of Fortune, so I started out drawing Pat Sajak, but I don't know what I ended up with. Pat Sajak has a bit of that Nicholas Cage "my hair is a bird" thing going on.